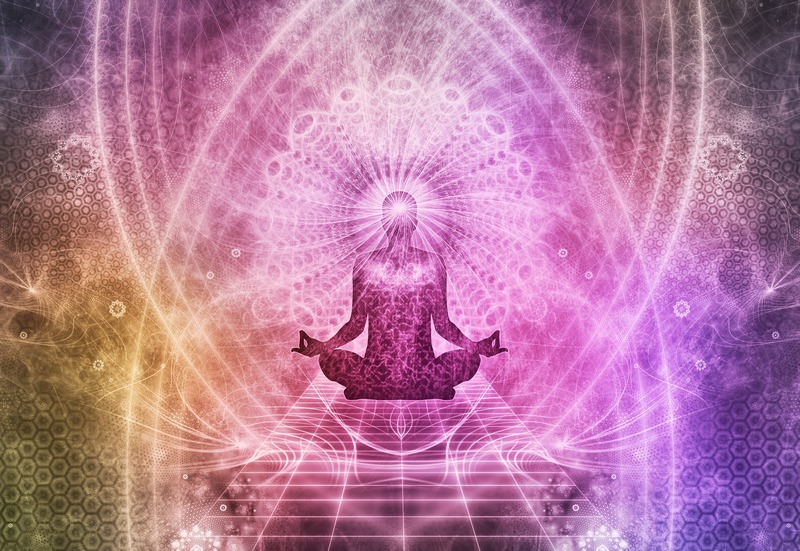 Reiki is a powerful yet gentle energy that promotes the ability for the body to heal itself. A course of treatments can bring balance to the mind, body, spirit and emotions, allowing you to feel a true sense of well-being. 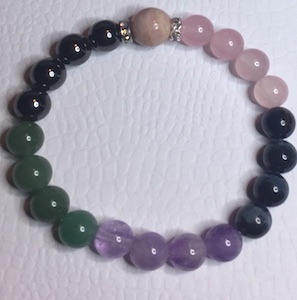 These bracelets are unique because they are created by Bertha with real crystals, and cleansed with sage, and Reiki is done to the bracelets before shipping. The reiki energy flows through the hands of the practitioner and into the person being treated, enhancing and accelerating the natural healing processes in the body. 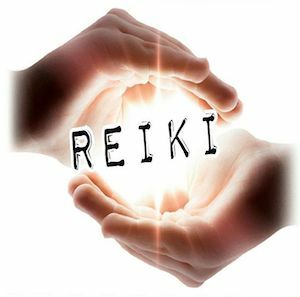 Reiki helps to restore balance and harmony and promotes the relaxing response. Can Reiki Cause Negative Harm? What Can Be Treated By Reiki? Reiki is both powerful and gentle. In its long history of use it has aided in healing virtually every known illness and injury including serious problems like: multiple sclerosis, heart disease, and cancer as well as skin problems, cuts, bruises, broken bones, headache, colds, flu, sore throat, sunburn, fatigue, insomnia, impotence, poor memory, lack of confidence, etc. It is always beneficial and works to improve the effectiveness of all other types of therapy. 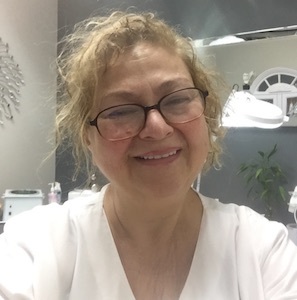 A treatment feels like a wonderful glowing radiance and has many benefits for both client and practitioner, including altered states of consciousness and spiritual experiences. If a client has a health condition, and wants to be treated with Reiki, it is recommended that they do so under the supervision of an enlightened medical doctor or other health care professional. Reiki will improve the results of all medical treatment, acting to reduce negative side effects, shorten healing time, reduce or eliminate pain, reduce stress, and help create optimism. The benefits of Reiki are infinite and unique to the individual, all you need is a willingness to be open, to allow healing to take place. Bertha has been practicing Reiki Since 1994, started in New York with Reiki Master John Harvey Gray finished in New Hampshire in March 2000. John Harvey Gray, was one of the original 22 Reiki Masters. In the last five year Bertha went to Sedona Arizona and got her Master in Reiki Holy Fire with masters Michael Baird, Laurelle Gaia and Holy Fire Reiki One and Two with Master Jay Jackson. All Reiki master teachers are registered with the "International Center For Reiki Training" Master William Lee Rand President. NOTE: Please be aware that Reiki is not an alternative to conventional medicine and therefore, you should always consult your doctor or other healthcare professional for any physical or psychological condition that you may have. I do not diagnose or treat specific illnesses or diseases or interfere with prescribed medication.